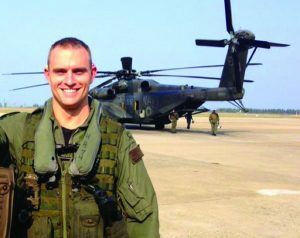 Lt. J Wesley Van Dorn, 29, passed away as a result of injuries sustained during a training mission while piloting an MH-53E Sea Dragon off the coast of Virginia on January 8th, 2014. Wes was a devoted family man, and an example of strength and kindness to all who knew him. He will be remembered for his generous heart and the way he naturally drew people in. Wes’s warmth and caring extended not only to his family, friends and fellow service members, but even to those he encountered only briefly. His strength, compassion, integrity and easy smile inspired others to be their best and his passion for the outdoors – especially for fishing – was a joy to behold. He returned to his family from deployment overseas as an unexpected gift just before Christmas, and he has now left us far too soon. A graduate of Southeast Guilford High School in 2002, Wes had received many academic honors and participated in tennis, lacrosse and soccer. He attended the University of North Carolina, Chapel Hill for one year. Wes then chose to attend the United States Naval Academy, graduating in 2007 with a degree in Ocean Engineering. 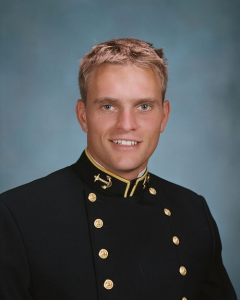 While at USNA, Wes served on the Superintendent’s Honor Council, studied for a semester at West Point, rowed two years on the Varsity Heavy-weight Crew Team and played on two Final Four Rugby Teams. Wes served proudly as a member of Helicopter Mine Countermeasures Squadron 14, based out of Naval Air Station Norfolk, where he was preparing for his new responsibilities as flight instructor. His service included three deployments, two to South Korea and one to Bahrain. Throughout his life Wes was motivated by the example of his grandfathers, inspired by their strong faith and commitment to serving their country. His deep faith in Christ gave him the strength to serve, the courage to walk without stumbling and to be unafraid. Even in his final moments he calmly acted on behalf of others – his crew & his loved ones. Wes is survived by his wife Nicole and two sons, Jaxton Wesley, 4 and Maddox Coursen, 14 months, as well as his parents Mark and Susan Van Dorn of Greensboro, sister Cara Van Dorn of Chattanooga, TN, brother Max Van Dorn of Charlotte, NC and grandparents James and Ruth Scholtz of Greensboro. He is preceded in death by his paternal grandparents, Ella and John Van Dorn. 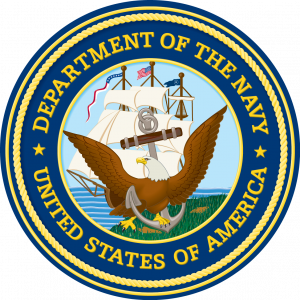 Wes’s family expresses their deepest gratitude to the men and women of the United States Navy, the United States Coast Guard, and the Virginia Beach Fire Department who selflessly participated in his rescue following the crash. Special appreciation to dear friends Jack & Anna Damon, Mike & Stephanie McDonald and Barry & Amy Dagnall for their extraordinary and unfailing support, and to Sentara Hospital, and Bayside Presbyterian Church for their excellent care, and finally for the tremendous outpouring of love and support from the Greensboro Community. Wes’ family pray that the families and friends of crewmates LT Sean Snyder and Petty Officer Brian Collins find solace in this time of sorrow.